Humans categorize life on Earth down into eight different categories, called taxonomic ranks, which narrow down from domain down to individual species. Kingdom, the second broadest of these ranks, has five or six distinct members — according to the United Kingdom and the United States, respectively — and it contains four eukaryotic classifications within it: animalia, plantae, fungi, and, protista. Eukaryotic species, from the largest whale down to the tiniest plant, derive their shape from cells that have a clearly-defined nucleus which also contains the cells' DNA and other organelles like the mitochondria. Scientists call species not of this classification prokaryotes, species whose cells lack internal membranes. See below for the four eukaryotic kingdoms — in one of which humanity falls. The four eukaryotic kingdoms are animalia, plantae, fungi, and protista. Organisms in the animalia kingdom are multicellular and don’t have cell walls or photosynthetic pigments. The animalia kingdom contains more than 1,000,000 species, according to Palomar College. All organisms in the animalia kingdom has some type of skeletal support and have specialized cells. In addition, these organisms have cellular, tissue, organ and system organization. All organisms in the animalia kingdom reproduce sexually instead of asexually. The plantae kingdom has more than 250,000 species, according to Palomar College. All land plants such as ferns, conifers, flowering plants and mosses are found in the plantae kingdom. Organisms in the plantae kingdom produce energy via photosynthesis. In addition, organisms in the plantae kingdom have a cell wall and a pigment called chlorophyll that helps capture light energy. The captured light energy is converted to sugars, starches and other types of carbohydrates. The fungi kingdom is responsible for breaking down dead organic material and helps recycle nutrients through ecosystems, according to the University of California Museum of Paleontology. In addition, the majority of vascular plants rely on symbiotic fungi to grow. Symbiotic fungi are found in the roots of all vascular plants and provide them with important nutrients. Fungi provide many types of medications such as antibiotics and penicillin, but also cause many diseases in the animalia kingdom. Fungal diseases are extremely difficult to treat because fungi are extremely similar genetically and chemically to organisms in the animalia kingdom. The protista kingdom includes unicellular and multicellular organisms, according to Clermont College. Organisms in the protista kingdom need to live in some type of water environment to survive. This may include fresh water, marine water, damp soil and even the wet hair of an animal like a polar bear. The three types of organisms in the protista kingdom are protozoa, algae, and fungus-like protists. Protozoa obtain their food with phagocytosis, which involves engulfing their prey with mouth-like structures. Algae contain chlorophyll and obtain their food through photosynthesis just like organisms in the plantae kingdom. Fungus-like protists absorb nutrients from their environment directly into their cytoplasm. Slime molds are an example of fungus-like protists and commonly live in decayed wood. Girard, Laurence. "What Are the Four Eukaryotic Kingdoms?" 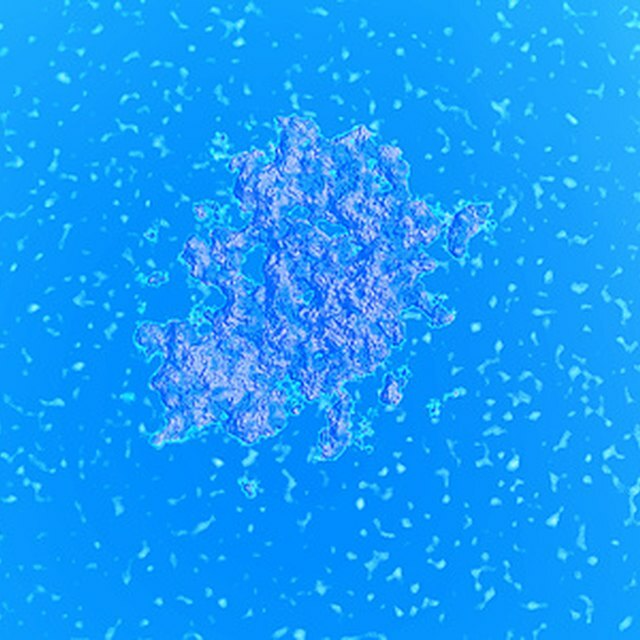 Sciencing, https://sciencing.com/four-eukaryotic-kingdoms-8562543.html. 23 April 2018.